Great use of embroidery for the quilt! I'm sure he'll love it! Wow Gene, you're so creative. I'm sure he'll really love it. Don't forget to show us a photo when it's finished! 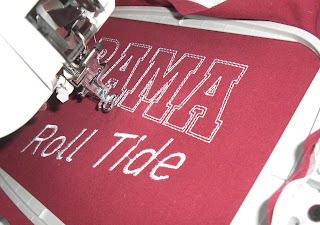 That is going to be a fantastic quilt, er, for a Bama fan, that is! LOL!!! In all seriousness, your brother is going to love it. 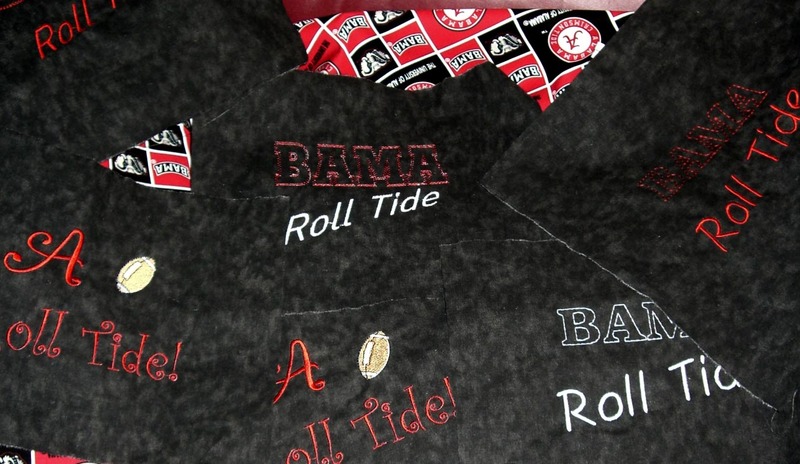 And that was a great idea to use your embroidery machine, AND a couple of your dad's shirts. It will be a very special gift, for sure. But Gene, did you have to remind me of that "big" game? :o( I would much rather forget that forever! That new machine is really paying for itself - beautiful work!!! Lucky brother!!! Glad you made it thru the bad weather unscathed!!! I'm sure your brother will love it! Aren't you having a great time......grin. You are really good with that machine.... way to go. 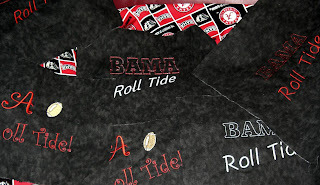 Nice work...great quilt but...wrong TEAM....GO DAWGS!!! nuf said. 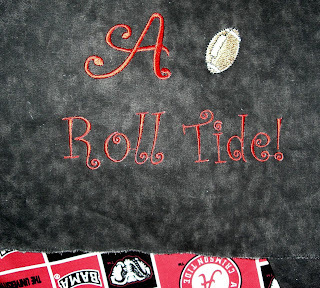 Looks great and what a wonderful and heartfelt gift for your brother! 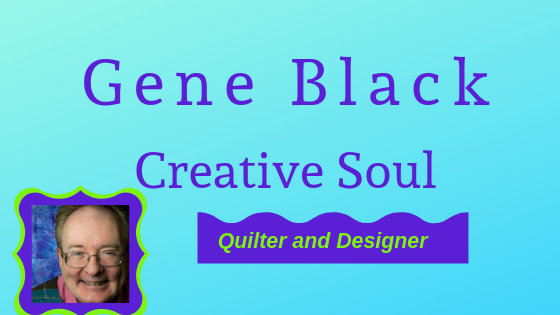 Gene..you and that new machine are really making some wonderful things/quilts. Your brother's GOing to be so excited. Great job.